When this pile is formed, that I’ve spent hours on…I turn into a wild lion cub that must destroy this perfectly crafted leaf pile and jump into it. Leaves fly everywhere, its a lovely mess. Then I must rake up that mess I created, and form it back into the nice pile that I had in the first place before the little lion cub took over and forced me to jump in. 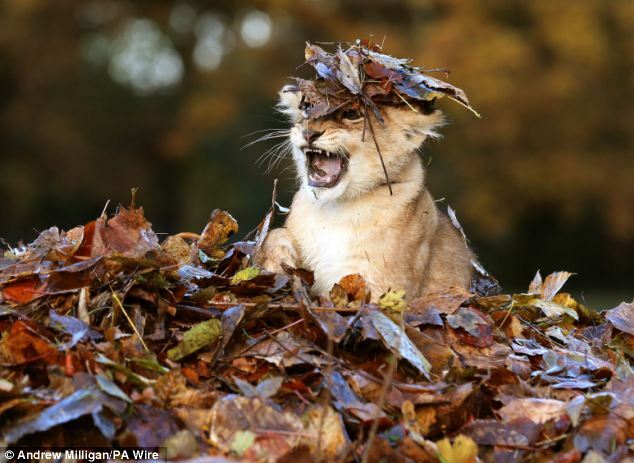 Okay, maybe I only wish I turned into a lion cub when I was a child, but I certainly did jump into many leaf piles and raked them back up…time and time again. 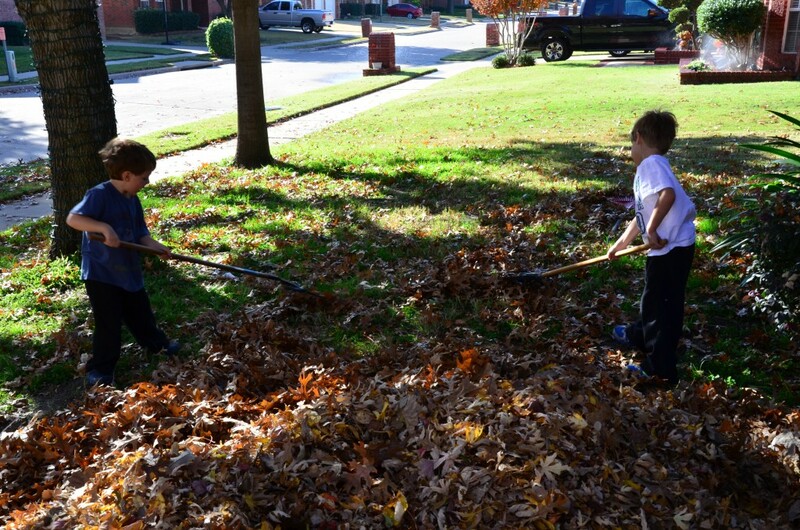 But, for the people that own ponds, on the other hand…fall can be one of the best times for maintenance, something a bit different than raking a whole yard of leaves! Here are some tips for pond owners, you can also refer to our Pond Owners Handbook for additional tips and tricks. Trim off any yellow leaves off of your plants. Any lilies, tropical and hardy, should still be strong until the first heavy frost of the season. When the water temperature is near 55 degrees, discontinue feeding your fish. This is the time when their digestive systems start slowing down for the winter. As the leaves start to fall from the trees, your debris net will be full. This should be check, and probably emptied every day. Some leaves will sink to the bottom, remove as many as possible, those that cannot be removed will serve as a place for insects and frogs to continue through winter. If your water turns brown, there is too much organic matter hanging around in your pond. 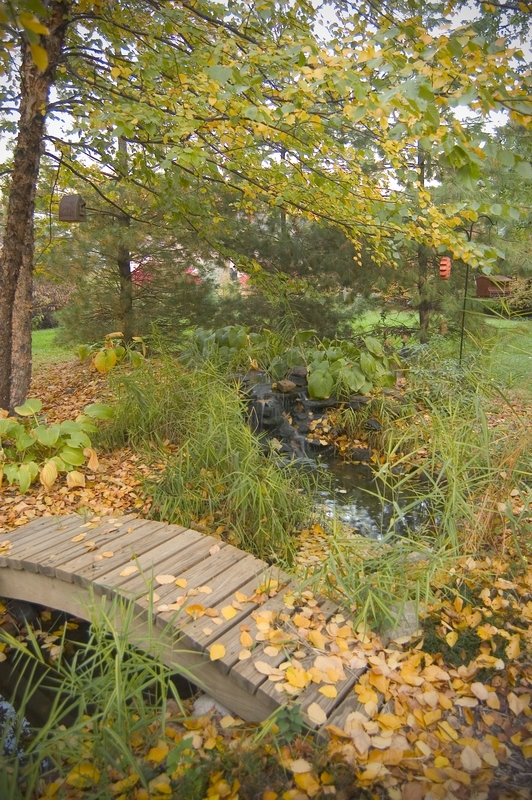 Fall is the time to decide if you want to keep your pond running or shut it down. A running pond during the winter does add some beautiful movement to the winter landscape. If you have fish, add a re-circulating pump to the pond. You may also add a floating de-icer. You can also keep your waterfall running! Just make sure no ice dams form which will create lost water in your Pondless Waterfall. Fall is one of the best times to take photos of your pond with the dramatic color changes, but it is also prime time for a pond maintenance and pond cleaning. Don’t forget to get your pond cleaning forms in by September 30th to receive your discount and to get your name on our calendar! If you still need to get your name on the calendar..
or send it in the mail!